Epica Awards’ visually striking new advertising campaign has been created by Wieden + Kennedy in Amsterdam. It reflects Epica’s impartial approach and unique positioning. Devised by the WK Amsterdam Design Studio, the campaign dramatically emphasizes the fact that Epica is the only awards show judged not by creatives from the industry, but by members of the specialist press. As such, it’s free of bias, politics and cronyism. 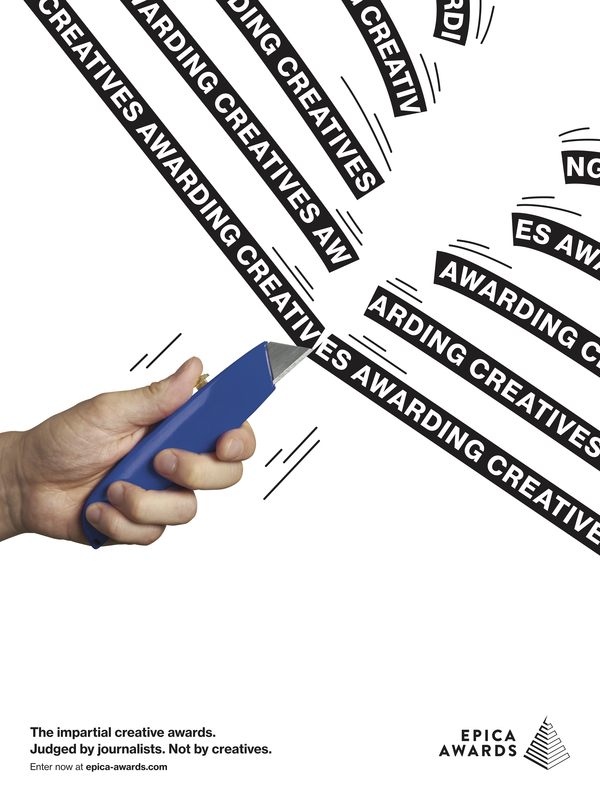 Creatives Awarding Creatives Awarding Creatives Awarding Creatives. 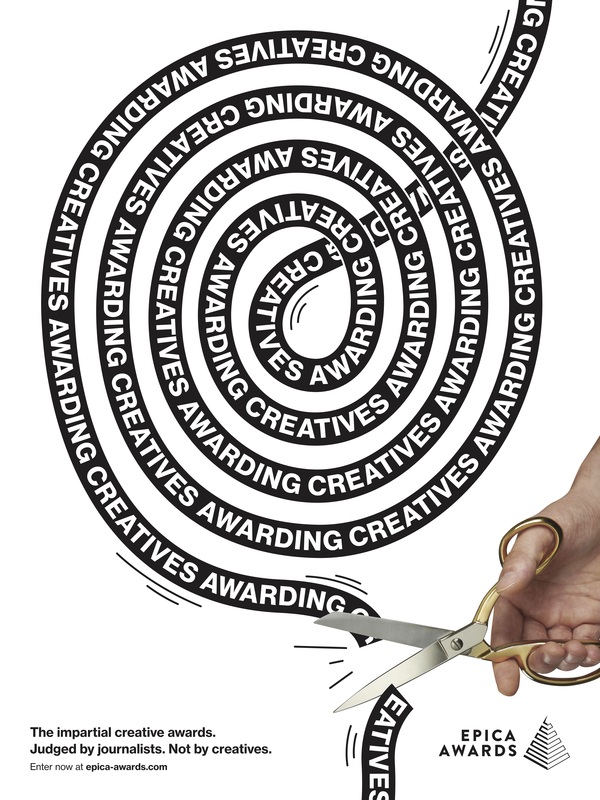 In the world of advertising awards there’s a cozy established model where creatives are endlessly judging fellow creatives in what feels like a never-ending cycle. The Epica Awards work differently and we want to show how they work to break that cycle through the more impartial angle of journalism. 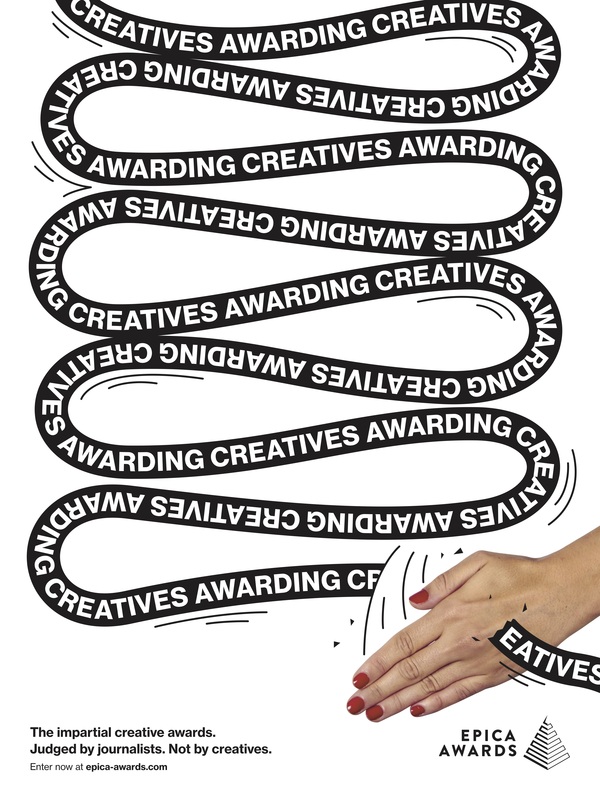 Using this idea we developed a playful and flexible typographic language that conceptually works to explain the Creatives Awarding Creatives cycle. Contrasting photographic imagery interjects to help, visually and literally, break up and disrupt the layouts and the cycle. The visual language is something we see as an identity that will function in static and motion executions as well as at the event itself. The 2018 Epica Awards are open for entries from July 16.